Today I went to the cinema to watch The Muppets with my little bro. It's a pretty good film with some absolutely cracking cameos. I squealed in delight twice at two particularly familiar faces. After the film (and a Frankie and Benny's! ), I dragged my brother around the shop. Here he is posing in Primark. 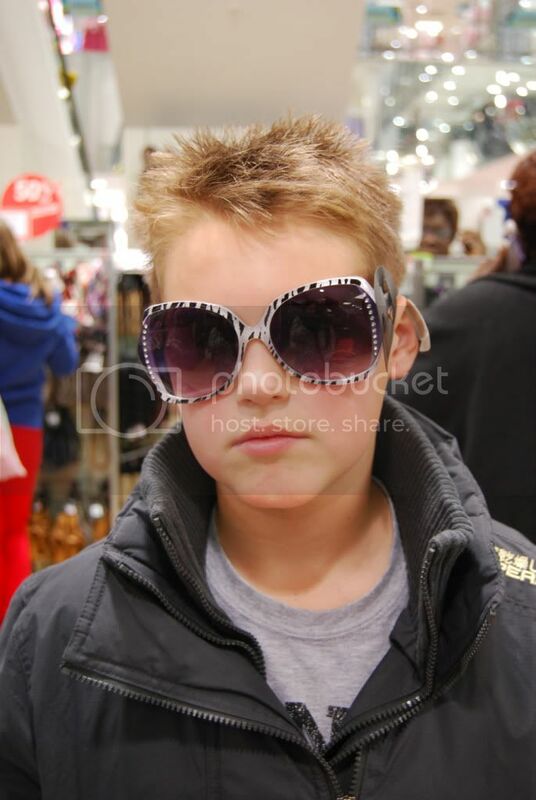 I reckon he's quite a talented little model- He actually makes those zebra print sunglasses look good! Oh and ps: I got my hair cut. What do you think? sv: Why can't you use yellow? You don't strike me as a person not fit for yellow. Loveee this cardigan, the collars are cute! I like how these glasses fits your brother!